In the market, the user usually will see the hand tool socket, which usually got shinning appearance with some groove or brand mark. In fact, there are several types of socket, and they are classified by the driving power: Socket (Hand/ Ratchet handle), Power Socket (Electronic Driving Gun), and Impact Socket (Air Gun). You can easily tell socket by opening sized which is to fit over the common male hexagonal head of a fastener. 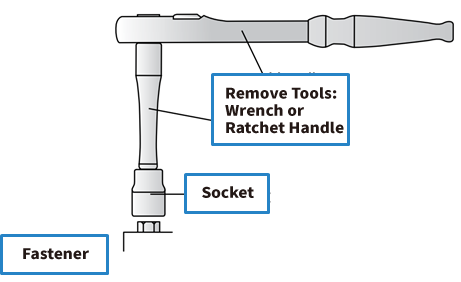 The opposite end has a standardized square recess to accept the socket wrench's drive size. Male sockets are also produced and are often called bit sockets. Tien-I manufacture and provide the all sizes of socket and impact socket, which meet or even exceed ANSI standard.